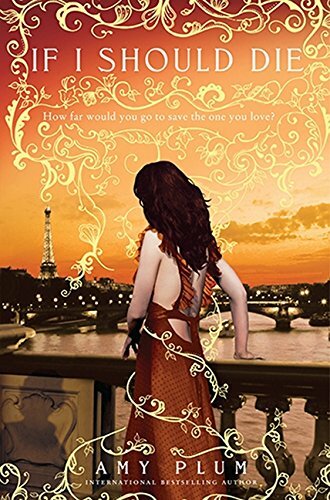 If I Should Die is the final book in the unique Revenants trilogy by Amy Plum. Revenants are zombie-like creatures committed to dying, sacrificing themselves over and over again for the sake of the humans they are sworn to protect. Seventeen-year-old Kate has forged a relationship with one: Vincent. They’ve endured a lot to be together, and then the unthinkable happened. Violette, one of his own, betrayed Vincent. He was killed and his body burned to ensure that he would be unable to reanimate. Kate is not willing to let go. She is not going to accept that her beloved is doomed to roam the earth as a disembodied spirit—not if she has anything to do with it. Kate goes in search of an ancient ritual that may or may not be true. It holds the only chance of bringing Vincent back to her. She finds herself positioned to give her all and if she should die . . . that’s the chance she has to take. This last book does not disappoint. Each novel in the series ratchets up the action and the tension. Amy Plum is to be congratulated for her creation of the Revenants. It is a fresh and original mythology. Ms. Plum manages to keep the romantic element alive even though, through most of the story, Vincent is in spirit form. It’s a credit to her skill at characterization. The author also strikes a good balance between the romance and the action of the story. If I Should Die is well plotted with a final twist that will keep readers on their toes. It will be interesting to see what Amy Plum will come up with next.